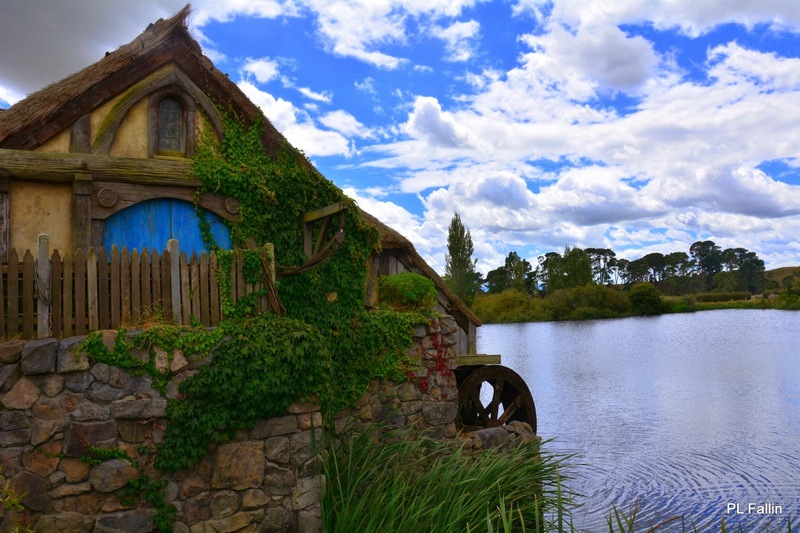 PL Fallin Photography: The Old Mill on The Water at "The Hobbiton Shire"
Bilbo Baggins ran by the Mill and a mile beyond to get to the Green Dragon to meet Thorin and Company. 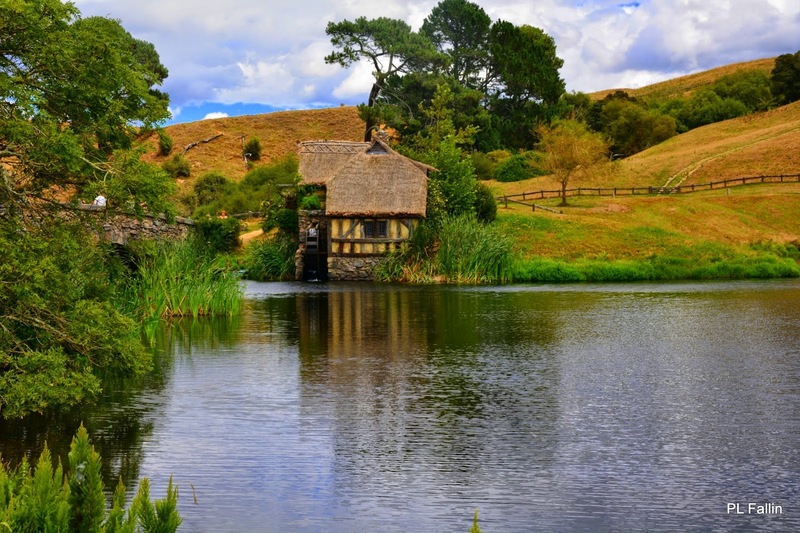 The Old Mill was the water-mill of Hobbiton, owned and run by the Sandyman Family. 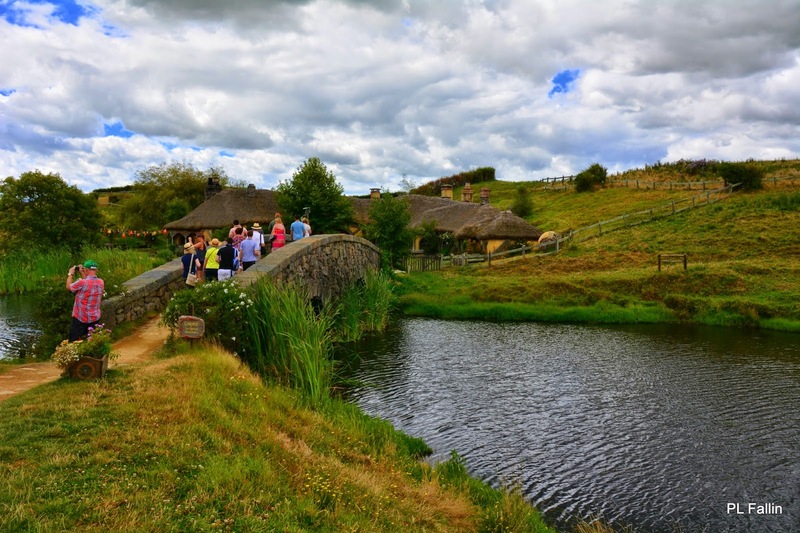 The Old Mill was a corn mill powered by a large water wheel. It lay directly adjacent to the bridge across the ByWater Pool and next to the Old Grange as well. 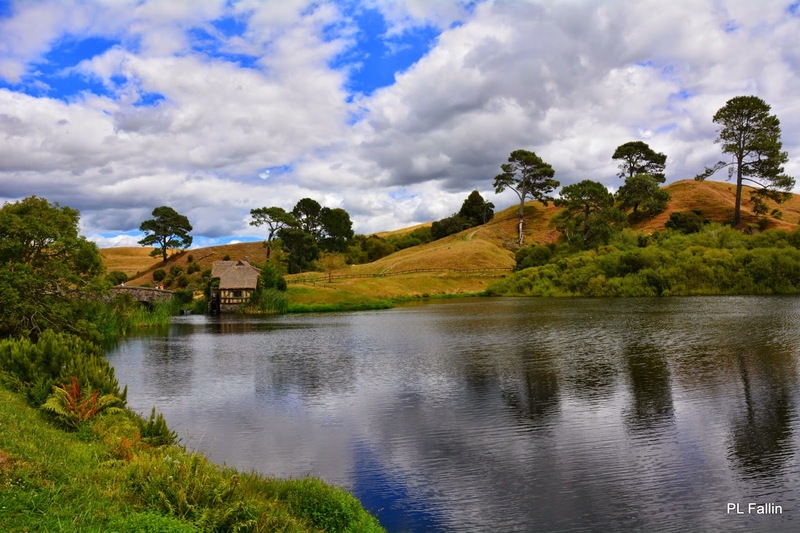 The Hobbiton Movie Set is located at Alexander's Sheep Farm, Matamata, New Zealand. These are some of the pictures I took during the film tour. 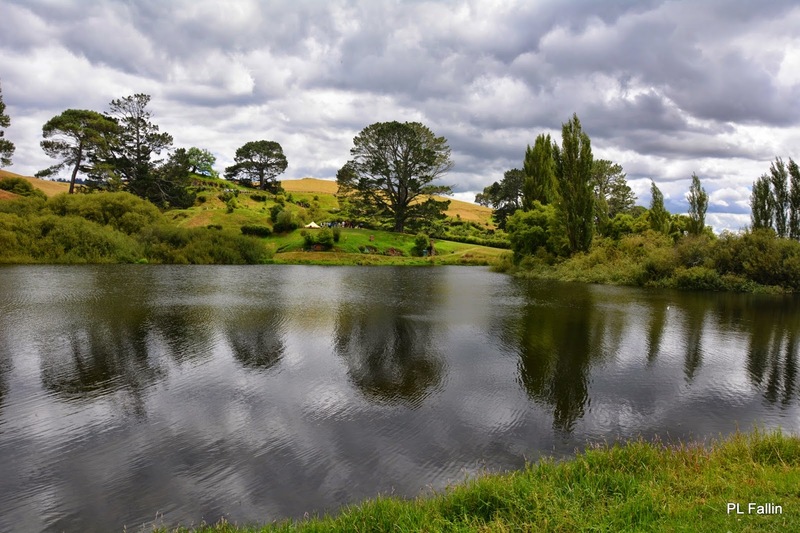 ByWater Pool was very picturesque under the gathering rain clouds and reflected the surrounding trees like a mirror.